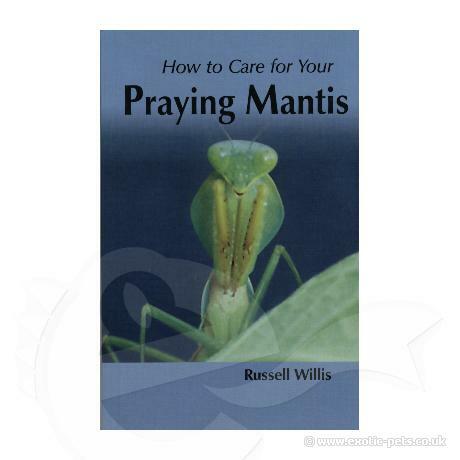 The Praying Mantis (or Mantid) appeals to a wide range of people; whether they are intended to be a pet or a study and breeding project, mantids offer a unique insight into the fascinating natural world of insects. Although a mantis could not be described as being a 'conventional' pet and would not take kindly to being stroked, petted or pampered, there is no reason why a mantis cannot be equally as rewarding. Watching a minute baby or nymph mantis grow up though a series of skin changes (ecdysis) and eventually become a gracious, winged adult can be very satisfying. The level of satisfaction can be increased ten-fold if the mantids that have been reared from an early age subsequently go on to breed. This is the reason why most people keep insects. Aside from their wonderful colours, shapes and interesting habits, the buzz one can obtain from rearing them through several generations makes mantis husbandry a very rewarding exercise. One doesn't need a great deal of time, money or space to get started and mantids are not difficult to look after if a few simple ground rules are followed.